As few as 44 percent of Americans have a will, and just 68 percent of seniors older than 65 one have a will, a Gallup poll found. Whether it’s because of a lack of time, lack of money, or the belief that things will sort themselves out, the vast majority of older Americans have not taken all legal planning steps that are needed. In fact, many haven’t even completed the first step: gather important legal documents. Organizing estate planning, medical, and financial legal documents is an easy way to ensure that you or your loved one’s wishes are honored, and that surviving family members won’t be left with hefty legal bills and disputes to untangle. Power of Attorney: Designates who has authority to make financial transactions on a senior’s behalf if they’re no longer able to; many financial institutions have an internal process you must follow to designate powers of attorney, so you’ll want to check with yours. Guardian of Affairs: Family members can petition the courts to appoint a guardian of affairs to make medical decisions, financial decisions, or both if a senior is no longer able to do so and didn’t previously designate a power of attorney. Will and Testament: A legal document that specifies which individuals, charities, or organizations will receive a senior’s possessions upon their death. Life Insurance Policies: Draft a list all insurance policies—life, health, long-term care, home, and car—and ensure beneficiaries have been assigned as needed and include it with estate planning documents. End-of-Life Instruction: Include plans for funeral, memorial, and burial services in estate planning documents; average funeral costs range between $7,000–$11,000, so financial arrangements should be made ahead of time. Estate planning legal documents serve important functions for surviving family members. Having the former in place protects the latter from taxes, legal fees, and potential family disputes arising from the estate. Medical Proxy/Power of Attorney for Health Care: A power of attorney for health care document assigns a “medical proxy” to make medical decisions if a senior is unable to. Directive to Physicians/Living Will: Also known as living wills and health care directives, these documents tell physicians to withhold predetermined life-saving treatments if the patient’s condition is considered terminal or irreversible. Authorization to Release Medical Records: The Health Insurance Protection and Portability Act (HIPPA) prohibits doctors from releasing medical information without a patient’s expressed consent; an authorization to release medical records form ensures that physicians can talk to family members about a senior’s medical condition and provide health updates. Out-of-Hospital Do Not Resuscitate Order (OOHDNR): This document signals to emergency responders and non-hospital medical providers that a senior wishes to forgo certain life-saving procedures such as CPR, breathing tubes, and artificial ventilation. Personal Medical History: Documentation about medical conditions, medications, and allergies helps healthcare providers make faster decisions in the event of a medical emergency. 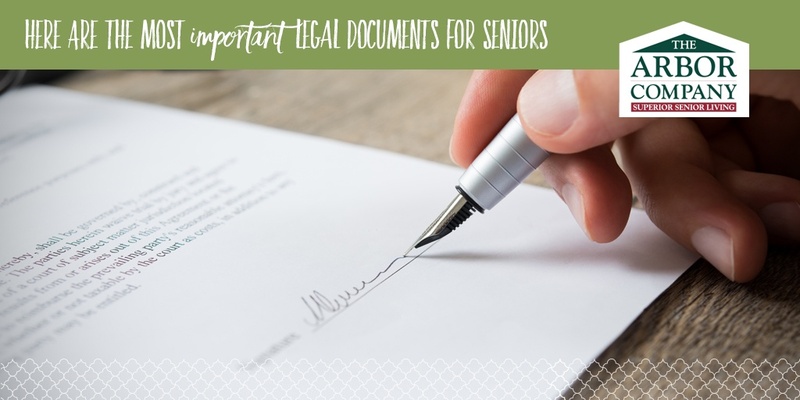 Long-term Care Plan and Insurance Policy: Including these documents with medical records helps family members plan for the next steps, whether it be assisted living or long-term residential rehabilitation and therapy after a medical event. Many seniors have completed some but not all of these important medical documents. For family members, it’s important to physically bring these documents to their loved ones, help them fill them out, and ensure they’re correctly filed. The safest bet is not leaving anything to chance when it comes to important medical documents. List of Bank Accounts: Make a list of all active bank accounts and lines of credit; this makes it easy for a power of attorney to transfer funds and pay bills for their loved one if the need suddenly arises. Tax Returns: Sometimes necessary to determine eligibility for government benefits for long-term care or housing assistance, tax returns from the previous seven years should be included in your financial documents, as advised by the IRS. Pension Documents: Documents such as annuity contracts and summary plan descriptions (SPDs) for 401(K) pension plans might be required to verify income, designate beneficiaries, or make financial arrangements of a spouse in the event of sudden death. Brokerage and Securities Accounts: Documentation of all stocks and bonds holdings are needed to provide a complete accounting of assets and take necessary steps to transfer assets upon death; in some states, you can add a “transfer-on-death” designation to brokerage accounts. Business Operating Agreements: Family members will be able to resolve questions about a deceased loved one’s ownership, assets, obligations for businesses structured as an LLC or a partnership through business operating agreements. Property Deeds and Titles: To sell or transfer ownership of property, you need to have the proper deeds and titles. Loans and Debts: A list of outstanding debts—property mortgages, business loans, vehicle loans, credit card debt—and creditor information will help settle estates and prevent debts from going to collection if a senior is suddenly incapacitated. Recovering documents and information about financial holdings and assets can be a lengthy, expensive process for family members. Accounts often exist that family members were unaware of, and simple tasks such as paying a mortgage can be a challenge if a senior suffers a sudden medical emergency. Having key financial documents in tow prevents that. Store these personal documents in a safe, secure place that at least one family member is aware of and has easy access to.